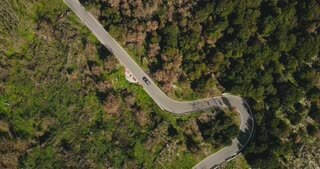 Drone flies above narrow mountain road. 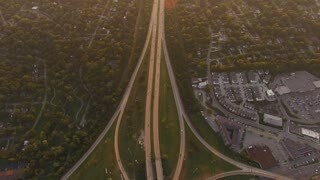 Aerial top view of forest driveway opening to passing car and buildings. 4K. 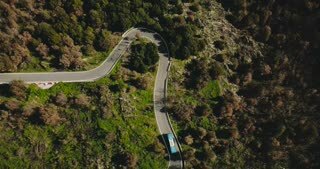 Blue bus turns left on a mountain road aerial view. Dangerous narrow forest driveway. Traffic road safety. 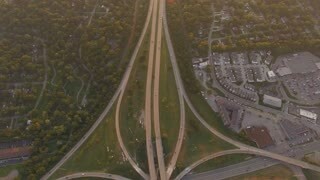 Travel 4K. 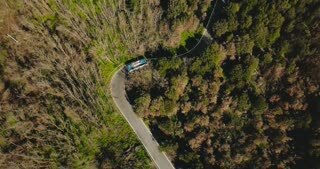 Top view drone follows silver minivan car taking turns on small narrow asphalt desert ring road on a sunny summer day. Drone following and zooming in on silver car driving along sunny American desert landscape on empty highway road.